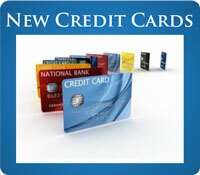 Creditors - Offers additional creditor interventions that assist in eliminating bad credit. 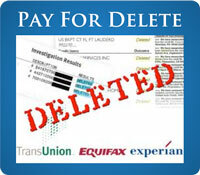 Excellent for late payments, charge-offs, and collections. Includes the Bronze Package. In addition to the credit bureau disputing service provided with the Bronze level of service, our Gold level features several targeted creditor interventions which may further improve your results. The following methods and interventions are included. Goodwill interventions - A non-confrontational contact with a creditor for mild late-pay accounts in which the client's excellent fiscal relationship is leveraged in an effort to positively impact the associated credit reporting. Account investigations - A non-dispute contact with a creditor for more seriously late accounts which requests either documentation of an account's compliance with various consumer protection statutes or a requisite alteration to the way it is represented within the clients credit reports. Debt validation - A non-dispute contact with a creditor for certain charged-off and collections accounts which affirms a client's rights under the Fair Debt Collection Practices Act (FDCPA) and demands a complete accounting of the alleged obligation's statutory compliance. Generally speaking, every additional intervention on your behalf increases the likelihood of a favorable response. Since additional methods are brought to bear, Gold level clients may see results sooner. However, it is important to remember that we cannot promise a particular result within a certain time frame since every case and credit report is different.